Youtube Who Is Trisha Paytas, The YouTuber Musician Who Believes In Vampires? One question comes to mind when you see her and her GIFs across the internet: who is Trisha Paytas? Though it sounds like a fairly straightforward query, the answer is anything but. To her fans, Paytas is many things: popular YouTuber, advisor, entertainer, writer, singer, eternal confessor, inveterate truthteller. Her detractors consider her something of an attention seeker. But whatever camp you fall in, you must agree that she is always herself. The Trisha Paytas fun facts below are proof. Paytas was born in Riverside, CA, on May 8, 1988. Raised in Illinois, she eventually moved back to California to pursue an acting career at 18. In 2007, she started her YouTube channel, blndsundoll4mj, where her mukbang videos and other clips eventually catapulted her to internet super stardom. But along the way, Paytas experienced many ups and downs, and she unabashedly discusses them all with her millions of fans. As of July 2018, she boasts nearly 4.1 million of them on YouTube alone. 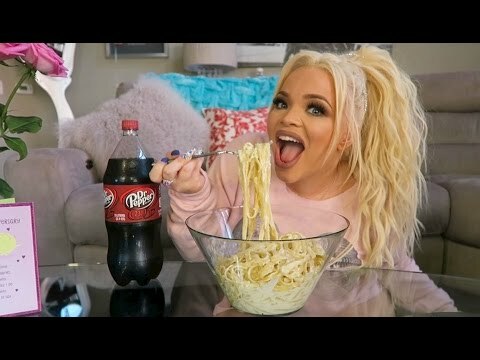 Take a closer look at this unique personality by learning things you never knew about Trisha Paytas, her life, and her multifaceted career. In 2014, Paytas began making mukbang videos for her YouTube audience. Essentially, these videos involve viewers watching Paytas eat a lot. She also posts videos of eating challenges, in which she takes on eating dares from either her audience or her own imagination. In one memorable dare, she attempted to consume 10,000 calories in a single day. Paytas uploads eating-related vids centered on everything from McDonald's breakfast foods to pasta alfredo, from donut-eating challenges to nasty food challenges. Early in her career, Paytas appeared in other people's videos – music videos, to be exact. In 2007, she had a small role in Amy Winehouse's video for the song "Tears Dry on Their Own." 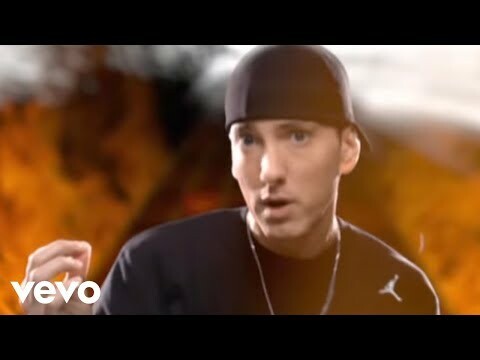 In 2009, she played Jessica Simpson in Eminem's video for the song "We Made You." In 2014, Paytas starred in a music video of her own song, a cover of the holiday classic "Santa Baby." It was the first of many. One of Paytas's main claims to fame is her belief in vampires. During her time on Celebrity Big Brother UK, she discussed the subject with housemate Jemma Lucy. Paytas said that vampires are a "real society," many are in jail for killing people, and, to get the most accurate information on them, you have to go onto the dark web. In 2017, Paytas joined the Celebrity Big Brother 20 house. She entered the house on Day 1 and quickly proved to be a fan favorite. But after suffering what she believed to be bullying in the house, she broke down and voluntarily walked off the show on Day 11. She later said she was "bullied, mistreated, and left traumatized" by an incident that didn't air.